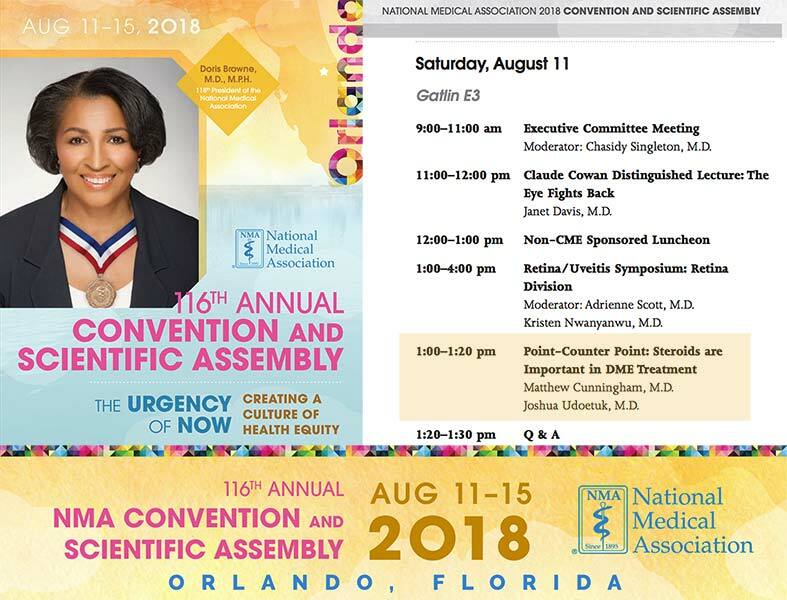 116th Annual NMA Convention and Scientific Assembly The National Medical Association (NMA)’s Annual Convention and Scientific Assembly is acclaimed as the nation’s foremost forum on medical science and African American health. 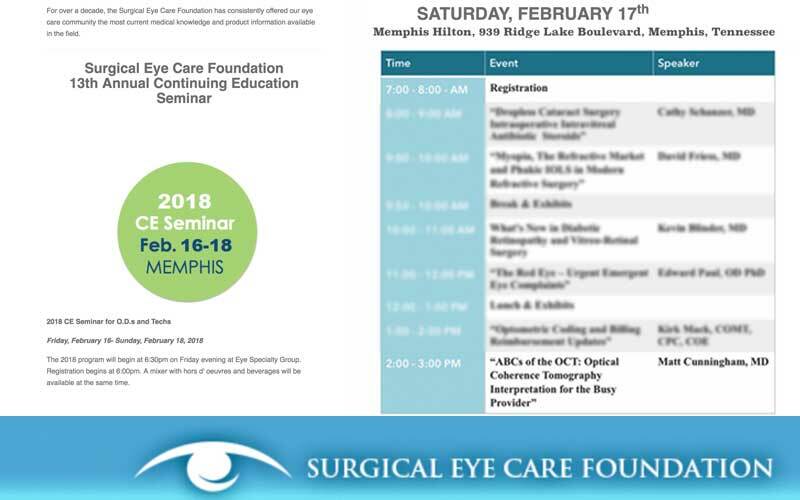 Each year, African American physicians and other health professionals from across the country convene to participate in the scholarly exchange of medical advances, discuss health policy priorities, and to share experience through networking opportunities. 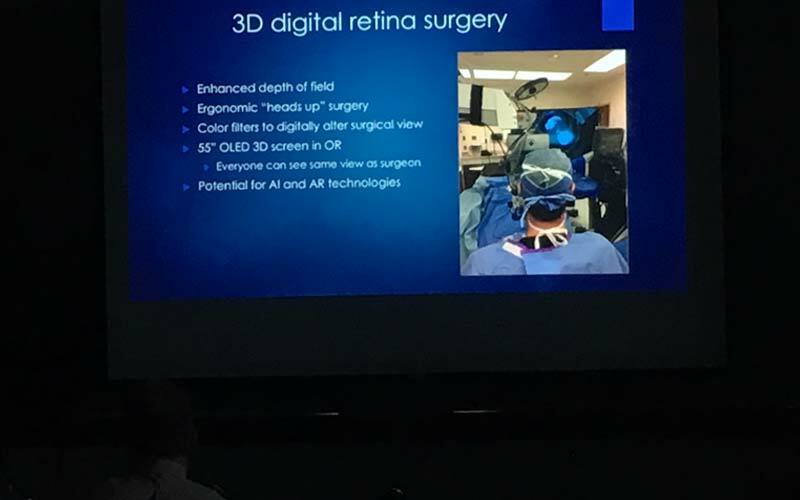 On Thursday, May 3, 2018, Dr. Steven Houston presented 3D Retina Surgery and Wide-Field Imaging at the Volusia/Flagler OD Society continuing education event at the Halifax River Yacht Club in Daytona Beach, Florida.Dr. 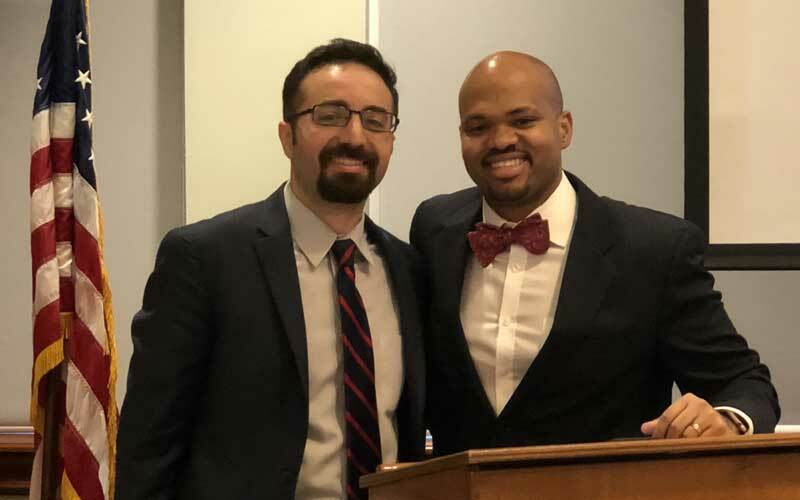 Jonathan Staman and Dr. Abdallah Jeroudi were also present. 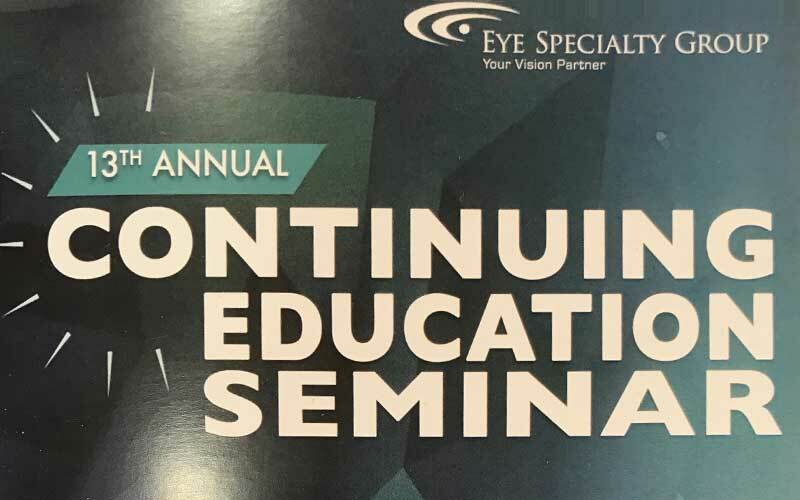 2018 Continuing Education Seminar, 13th Annual CE Seminar, for O.D.s and Techs, the program included 3 days of exceptional COPE approved continuing education courses for national and local eye care leaders. 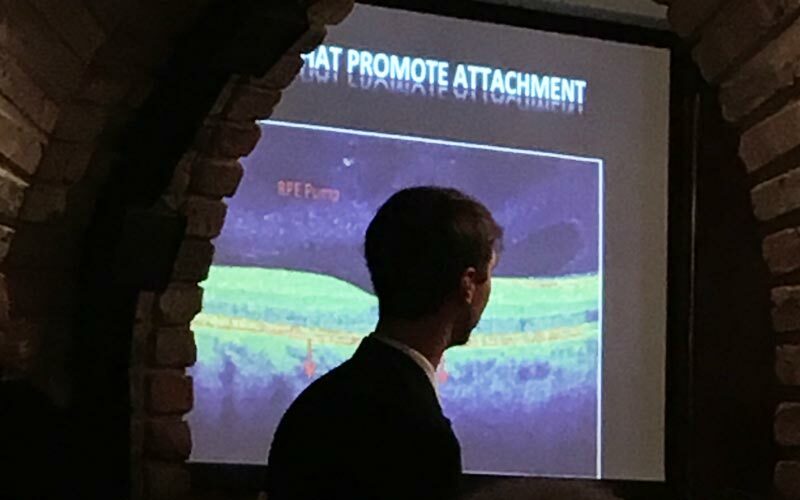 Doctor Matthew Cunningham presented the ABCs of the OCT: Optical Coherence Tomography Interpretation for the Busy Provider. 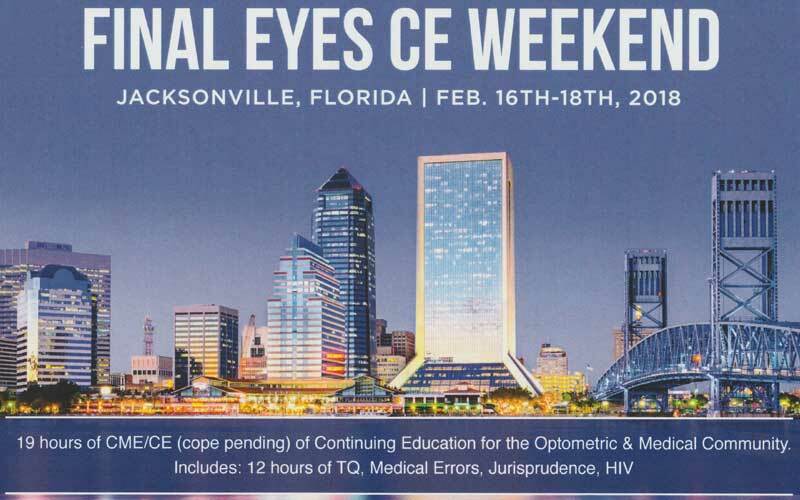 Final Eyes Continuing Education Weekend in Jacksonville, Florida, from February 16th - 18th, 2018. 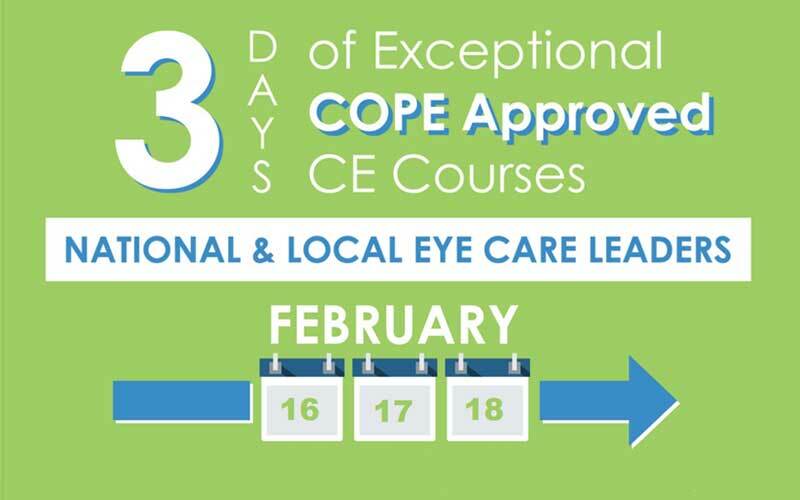 19 Hours of CME/CE (cope pending) of Continuing Education for the Optometric and Medical Community, included 12 hours of TQ, Medical Errors, Jurisprudence, HIV. 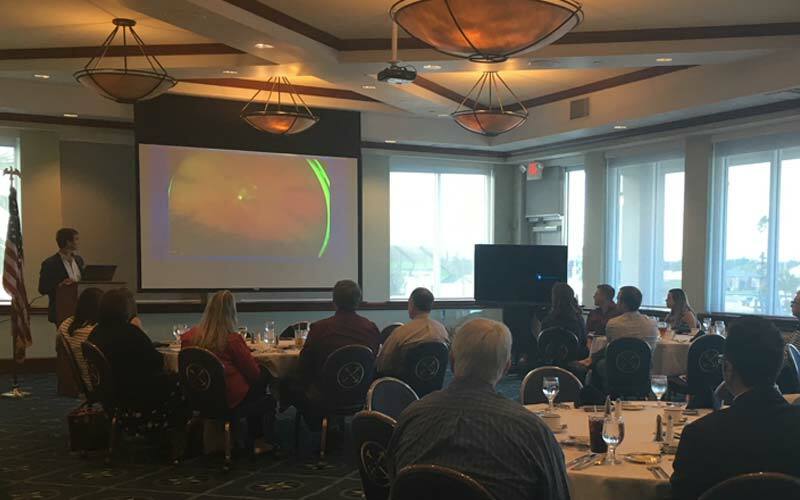 Matthew Cunningham, MD,, presented Alcon's NGENUITY 3D Visualization System to Volusia County Ophthalmologists on Thursday, February 8th, 2018 at the Halifax River Yacht Club, Daytona Beach, Florida. 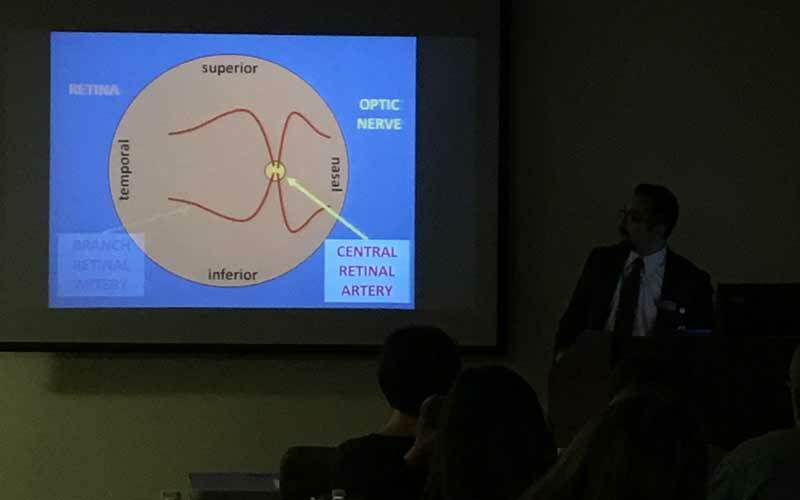 Dr. Jeroudi joined Dr. Cunningham at his presentation. 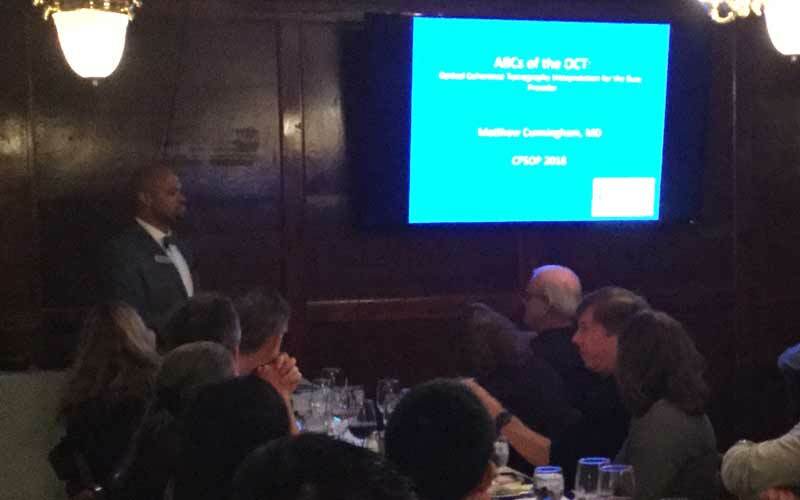 First annual meeting of the C.F.O.P.S. 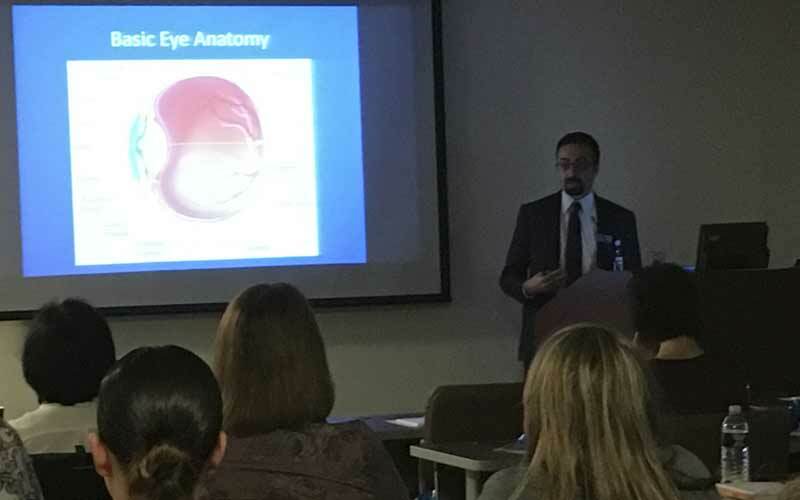 Central Florida Ophthalmic Personnel Society was held on Saturday, January 13th, 2018. 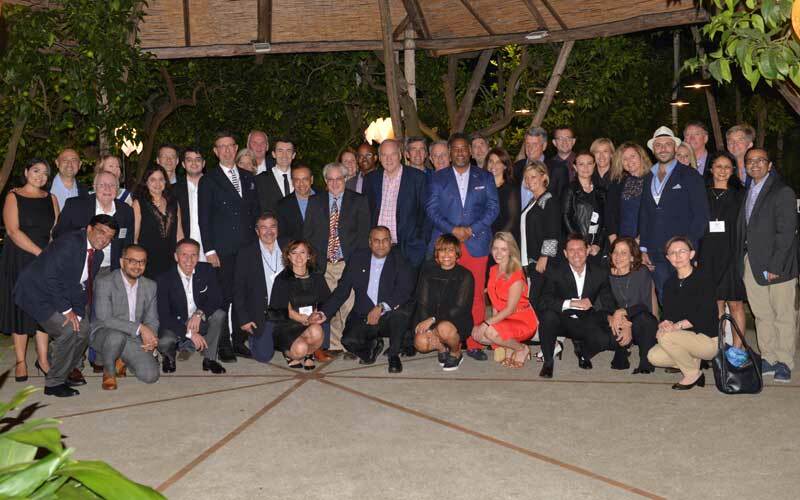 C.F.S.O.P. 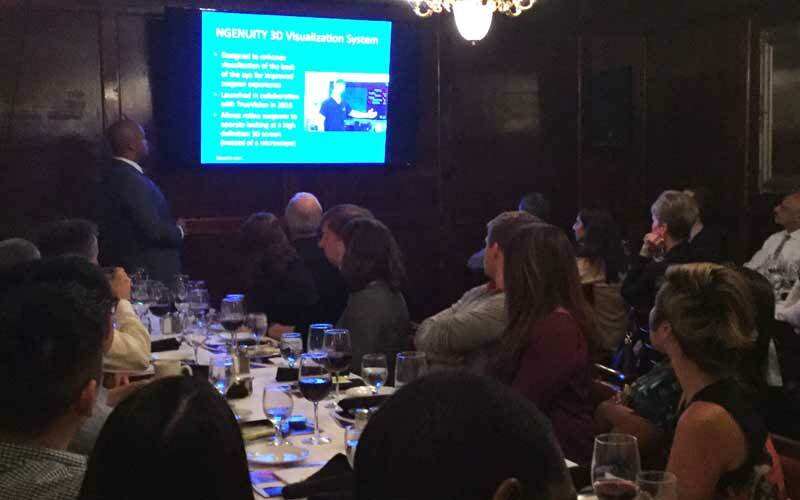 Central Florida Society of Optometric Physicians continuing education meeting held on Wednesday, January 10th, 2018 at Christner's Steak House in Orlando. 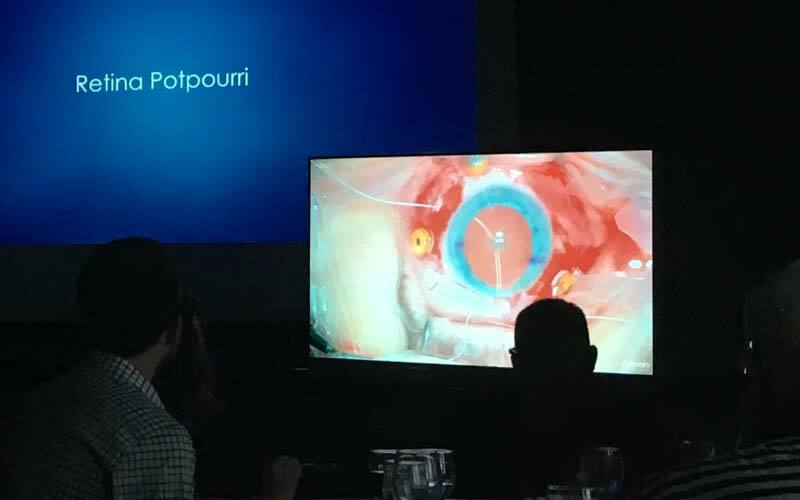 Dr. Cunningham introduced Alcon's NGENUITY 3D Visualization System and presented the ABCs of OCT including detailed case studies. 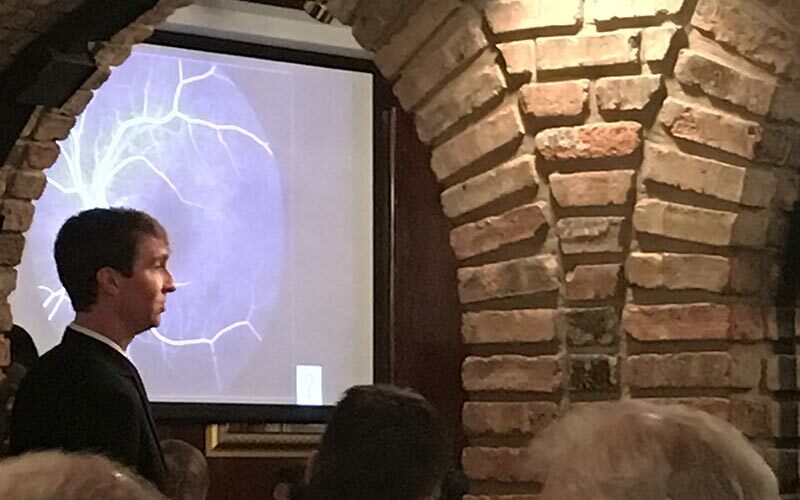 Dr. William Dunn attended this years' Mediterranean Retina VII meeting, which took place in Sorrento, Italy. 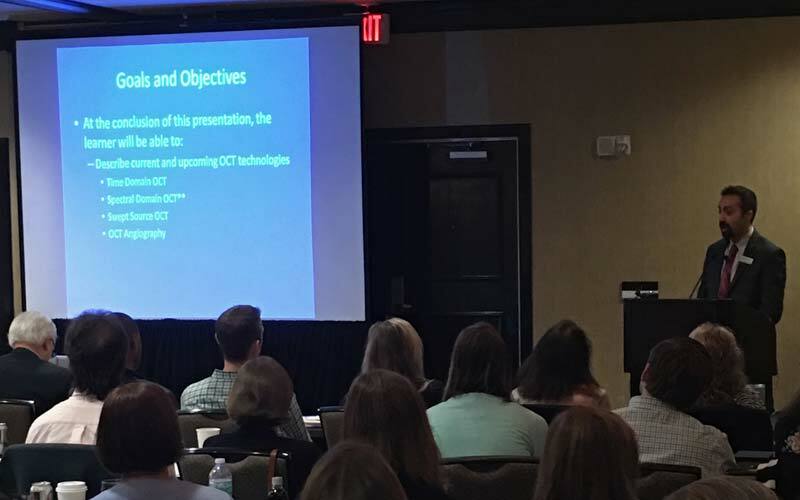 To further enhance each diagnosis, condition and treatment, our Team of Doctors participate in national and international conferences for continuing medical education, research and studies. 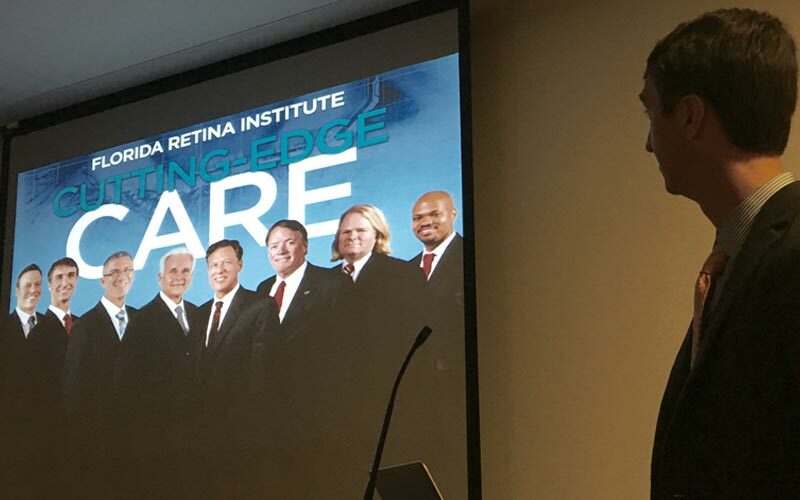 We strive to continuously enhance patient care, knowledge and professional growth. 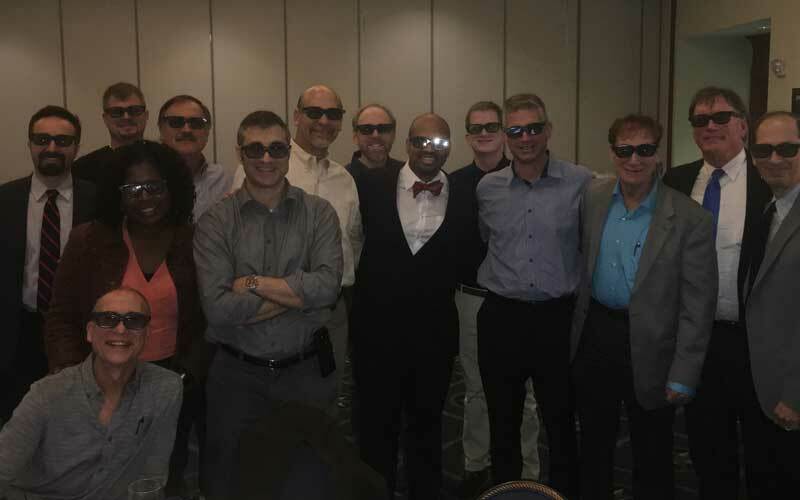 Northeast Florida Optometric Society NEFOS Fall Fest 2017 on Sunday, October 15th 2017 at One Ocean Resort and Spa in Atlantic Beach, Florida. 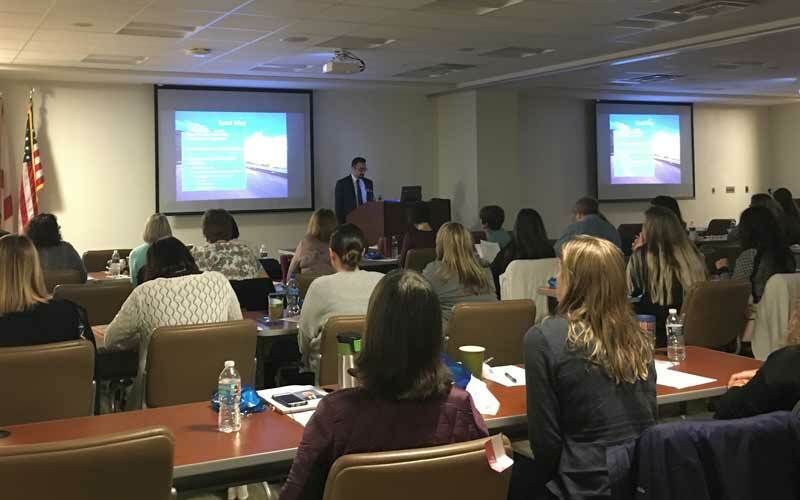 OCT Interpretation for the Busy Provider presented by Dr. Jeroudi. 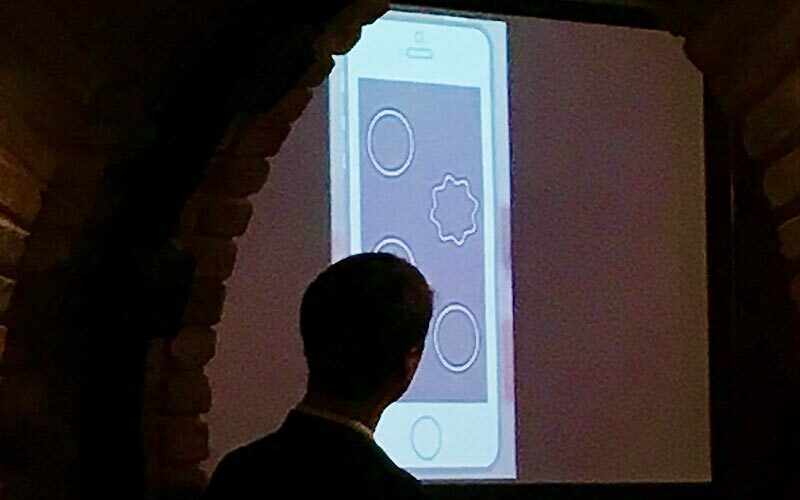 Presented by S.K. 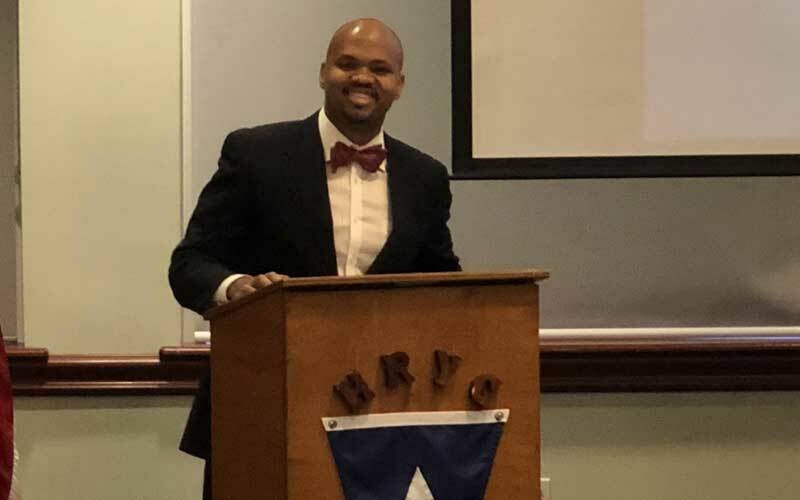 Steven Houston III, M.D. 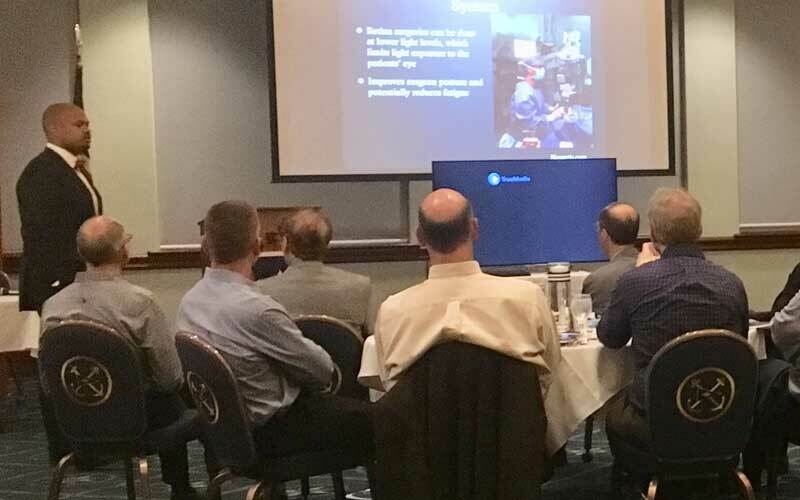 "Thank you for sponsoring the CFOS meeting last night. 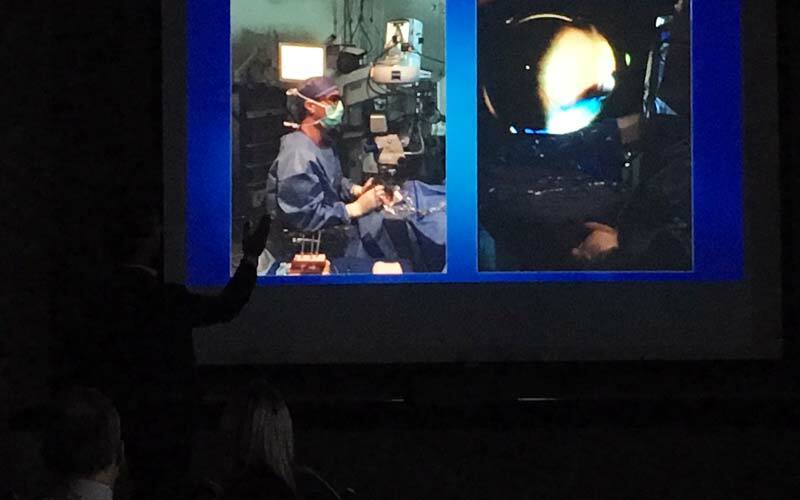 Dr. Houston was an incredible representation for your practice. 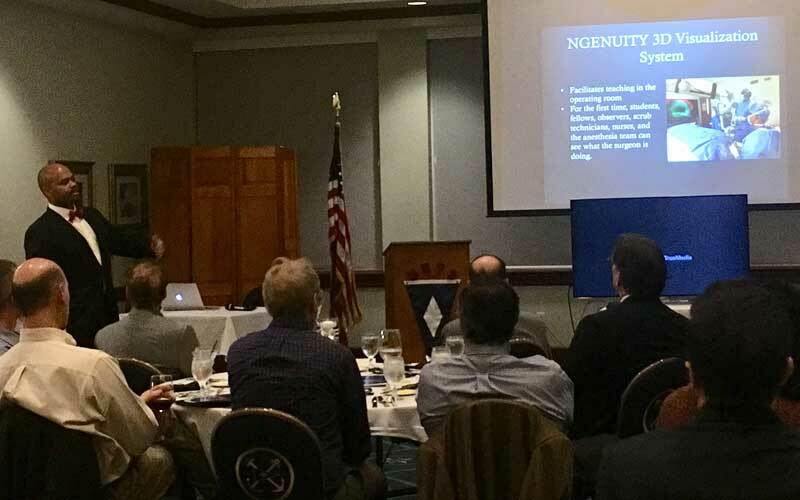 He's certainly incredibly well educated, but his speaking and personal skills are equally impressive. Congrats on this great hire." 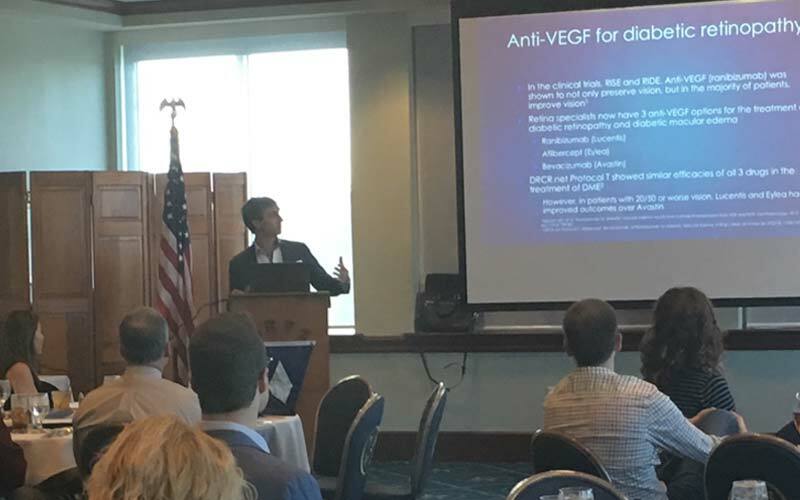 Northeast Florida Optometric Society NEFOS Fall Fest 2017 on Sunday, October 15th 2017 at One Ocean Resort and Spa in Atlantic Beach, Florida. 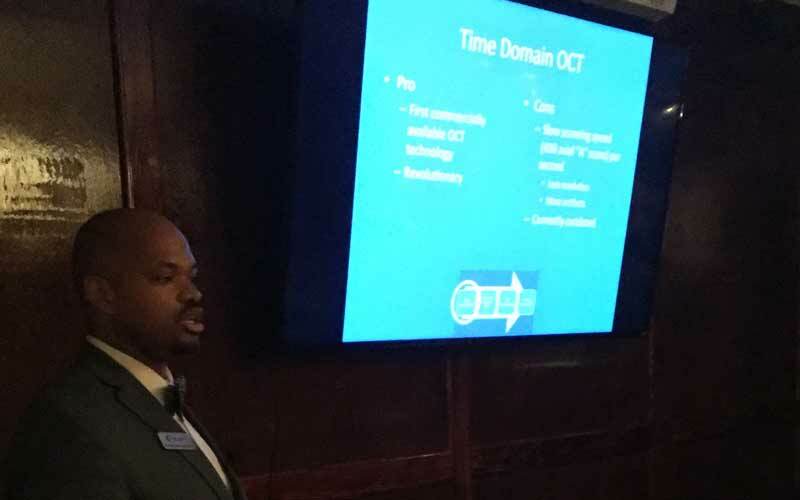 OCT Interpretation for the Busy Provider presented by Dr. Abdallah Jeroudi. 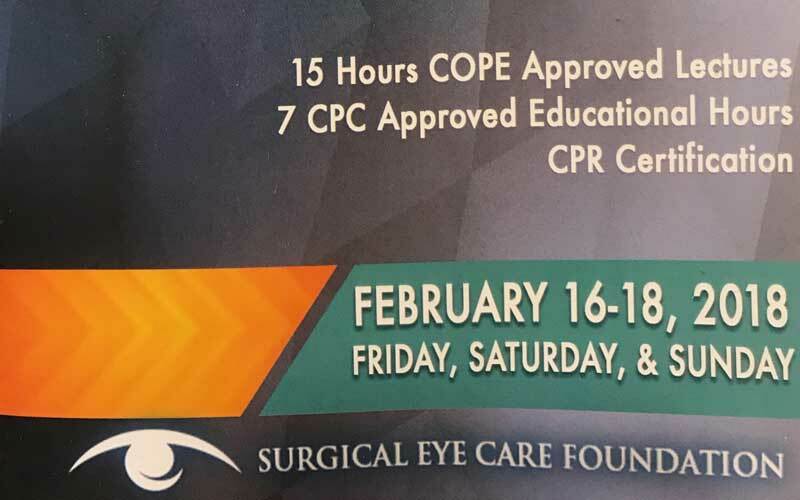 CFSOP EyeMed Continuing Education Seminar, Orlando, Florida. 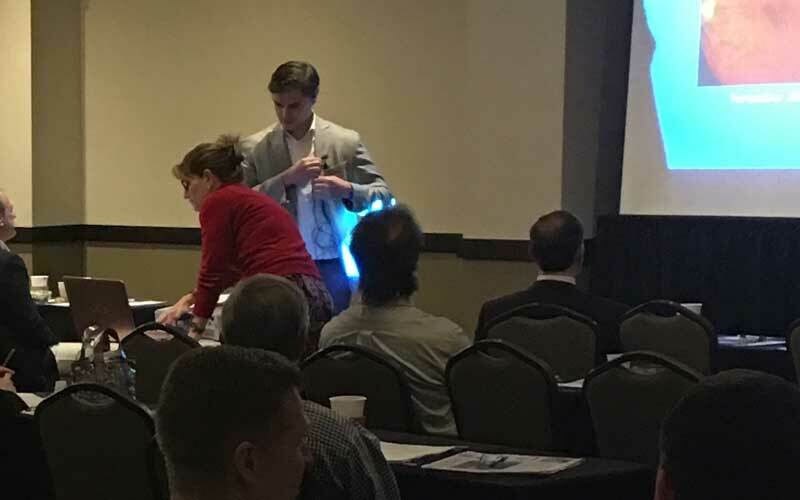 EyeMed Continuing Education Seminar took place on Sunday, October 1st 2017 at the Rosen Plaza Hotel. 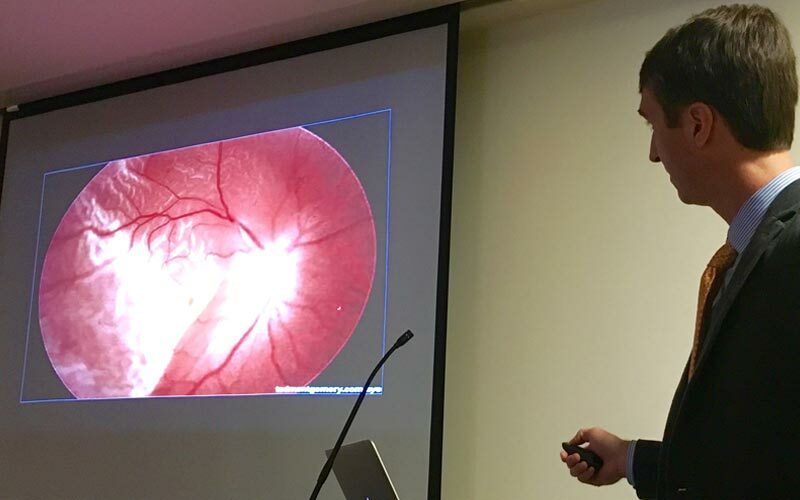 Each year the Central Florida Society of Optometric Physicians hosts EyeMed. 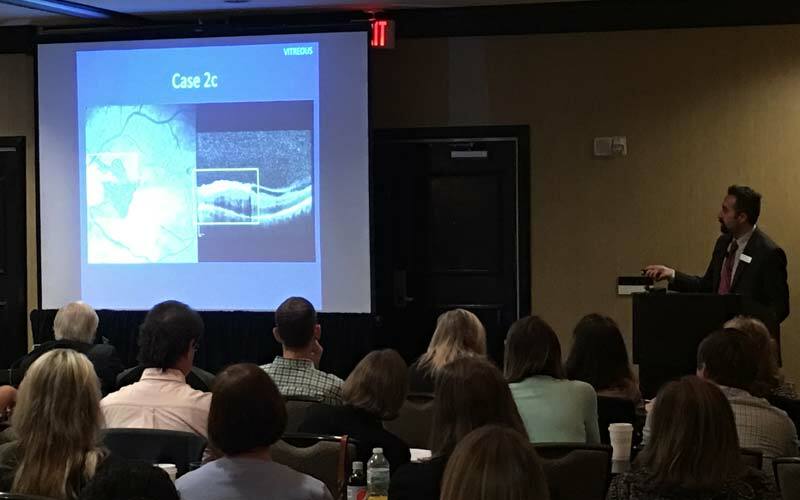 This one day event takes place in October and offers excellent continuing education including Florida Jurisprudence and Medical Errors, required by the Florida Board of Optometry for licensure renewal. 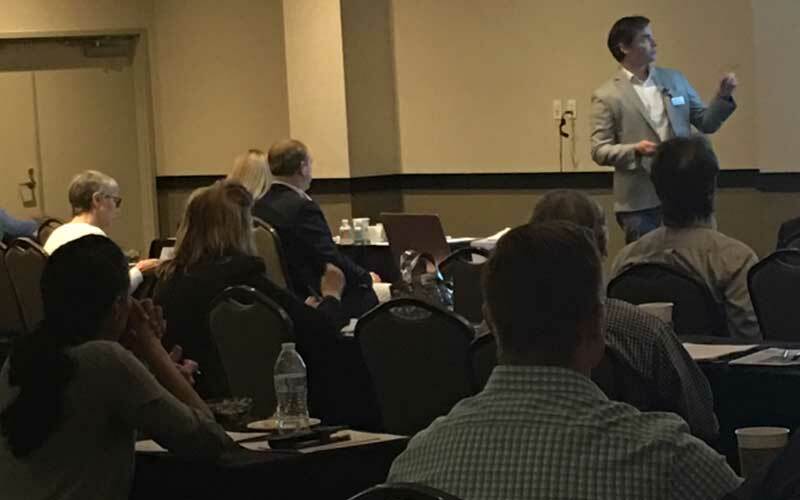 October 26, 2016, presented by Dr. Jonathan Staman, Chart House Daytona Beach. 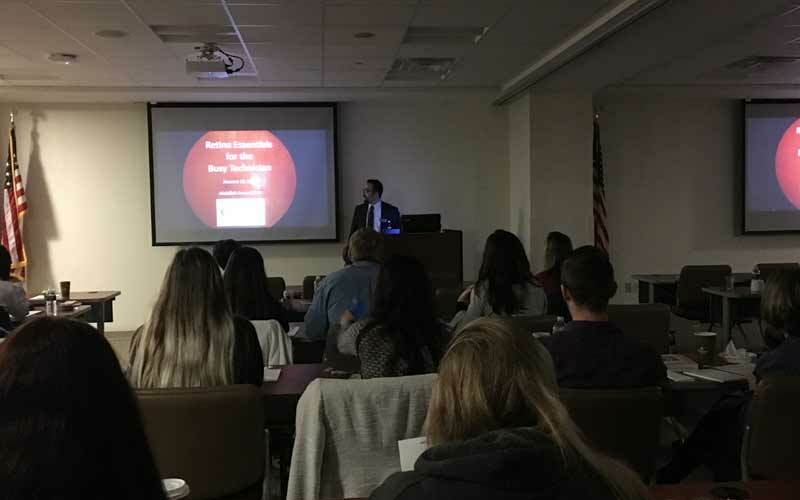 October 2, 2016, guest speaker Dr. Elias Mavrofrides. 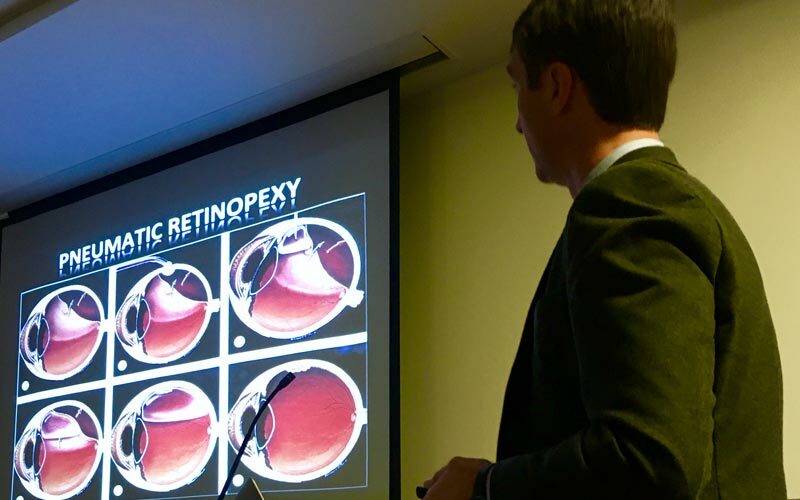 Each year the Central Florida Society of Optometric Physicians, C.F.S.O.P., hosts EyeMed. 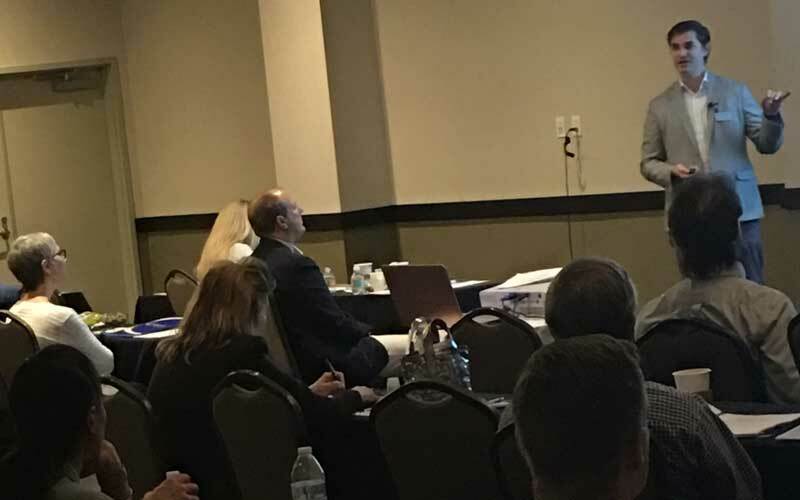 This one day event takes place in October and offers excellent continuing education including Florida Jurisprudence and Medical Errors, required by the Florida Board of Optometry for licensure renewal. 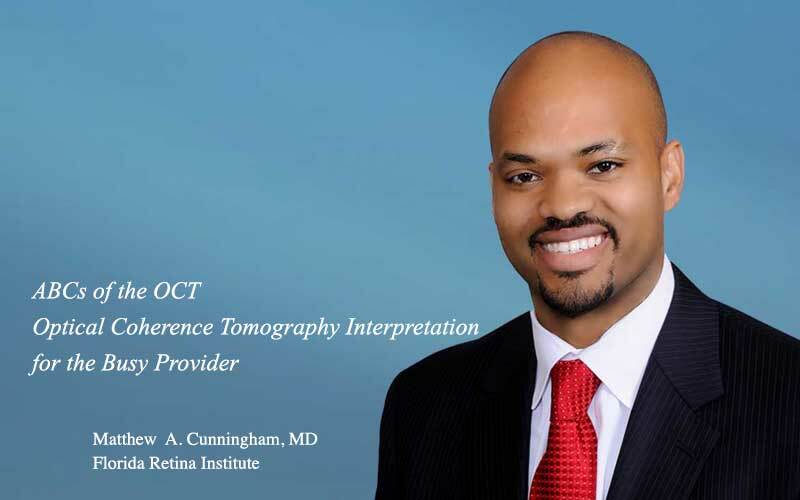 Sunday, October 2, Northeast Florida Optometric Society, NEFOS Fall Fest guest speaker 8 - 9am Dr. Benjamin Thomas, "Medical Retina Abroad", event for 8 hours of continuing education, including 2hrs TQ, 2hrs Jurisprudence, and 2hrs Medical errors.